As we head to Steel City for this weekend's edition of the Lucas Oil Pro Motocross Championship, we all know Ryan Dungey is on a crazy roll. Like, crazier than any kind of roll your local sushi master can conjure up. Crazier than any roll an Olympic gymnast could produce on a mat. Know your role! Call him butter, folks, because he's on a roll! Roll out! Let's roll! Okay, but sometimes around this time of the season, strange stuff happens. It did in 2009 when Chad Reed was crushing the 450 Class in a similar manner as Dungey is now. But he crashed out while leading Southwick and had problems at Steel City, thus opening the door to upset wins by Matt Goerke and Tommy Hahn. They were big wins, because they were career firsts for "Beef" and THahn, and so far they are the only career wins they have garnered. Stranger, they each had never won a 125/Lites/250 Class race -- they saved their best for the big class. Which got us to thinking: how often do riders go all late-bloomer and snag a 450 win despite never getting a W on little bikes? Time for The List! 7. Tommy Hahn, Steel City National, 2009: THahn was solid in his Lites days, racing for Factory Connection Honda, and later the Factory Team Honda squad on the small bikes. 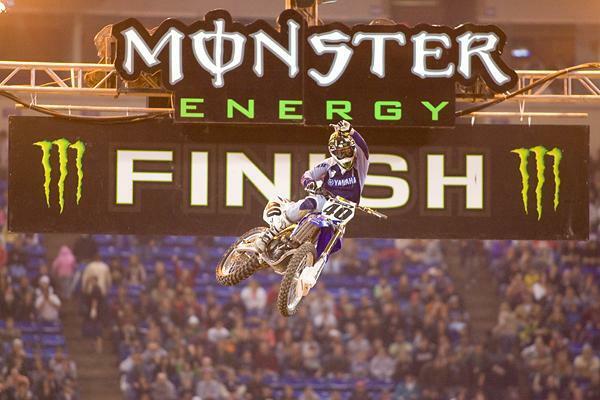 He even had a good battle for the win at the 2007 Daytona Supercross with Ben Townley. But BT pulled away late, and Tommy never did get a win on a small bike. He seems more suited to 450s anyway, starting with a sparkling 450 debut at the 2008 Minneapolis SX (more on that in a sec) and then leading up to his 450 overall win at Steel City in 2009. Tommy Hahn won his first, and only, overall at Steel City in 2009. 6. 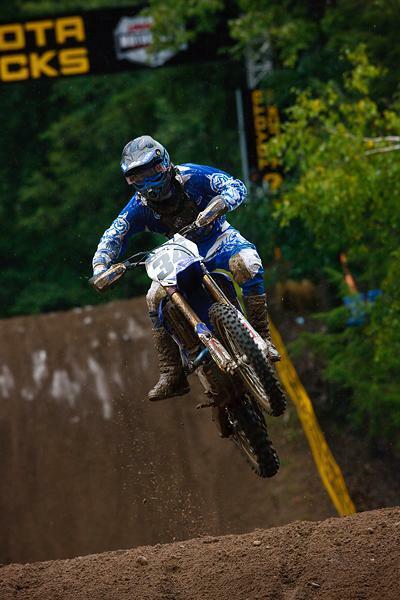 Matt Goerke, Southwick National, 2009: This one was super-duper crazy. Reed won moto one and crashed out of moto two, and Goerke, a replacement ride for the injured Josh Hill at Yamaha, won the overall with 6-1 scores! It was also the last win ever for factory Team Yamaha, which yielded to a satellite team approach soon after. 5. Josh Hill, Minneapolis Supercross, 2008: Speaking of Hill, the highly-touted amateur never delivered on his promise in the small bike class. 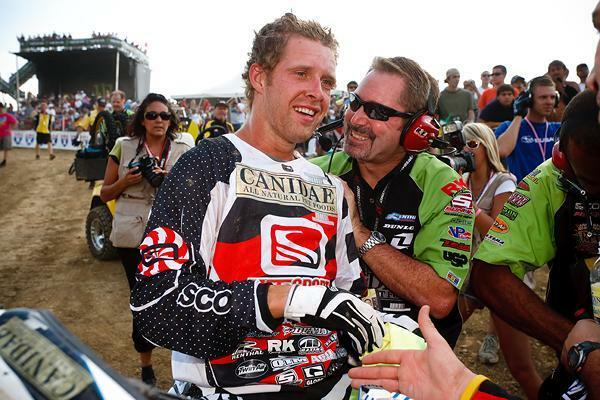 But he found new life when he jumped on a 450 late in the 2007 Nationals. Then in 2008, he won his first career Supercross in Minny (Dungey, a Lites rider on the West, finished second that night and THahn took fifth. It was crazy!). This win wasn't a huge upset for the talented Hill, and it seemed like many more victories would come. So far, they have not. 4. Bret Metcalfe, Southwick National, 2011: A long, long, long time coming for Metty, who battled for 125 podiums nearly a decade before this, but could never find a way to get that elusive top spot. The whole darned industry was pumped when the Aussie took a hard-earned overall last year on his Suzuki RM-Z450. Josh Hill celebrates his first Supercross win. 3. Doug Dubach, San Jose Supercross, 1991: Another very popular one. The hard-working Dr. D always got respect from his competitors, and on one strange night, he finally broke through. Jean-Michel Bayle was riding on cruise control after wrapping the '91 title. Guy Cooper looked set for his first SX win until Jeff Matiasevich took him out with a desperate pass attempt. And Damon Bradshaw got stuck in the gate but still almost ran down the entire field. Dubach held off his Yamaha teammate by half a bike length. Bradshaw hated everyone he raced against except Dubach, so for once he was happy, too. 2. Ricky Ryan, Daytona Supercross, 1987: Huge for a bunch of reasons. Not one was this Ryan's only career win, he also did it as a full privateer on a Honda CR250. Yeah, it was muddy, and favorites like RIcky Johnson, Jeff Ward, Ron Lechien had problems. Keith Bowen looked set for his first win until the mud got him. Who cares? Ryan's win was the first ever in Supercross for a true privateer! 1. Jeff Stanton, Just About Everything, 1989-1993: This is something you just don't see anymore. Stanton, a big, tough farm boy, skipped the 125 Class altogether and jumped right into the 500 Class when he turned pro. Then he turned heads on an air-cooled YZ490, picked up a Honda factory ride, and promptly started dominating the sport when team leader Rick Johnson busted his wrist. Stanton won six AMA National titles, but never once even rode a 125 National (he did win the 125 support class race at the '89 250 USGP at Unadilla). Maybe even stranger, Stanton never won the 500 National Championship, the class he seemed best suited for. Matt Goerke en route to the overall at Southwick in 2009. Stanton's path was unique for the time, but it was well worn in the early days of the sport. Prior to the 1985 invention of 125 Supercross, plenty of fast guys just jumped right into big bike racing. We can find plenty of 1970's and early 1980's stars who did all their winning on bigger bikes, but the seven riders above are the only to do it since 1986. So who did it before them? Come on back here next week!